available, in West Des Moines, Iowa, and ALL surrounding communities in the Des Moines Metro area, and Central Iowa. ​Your Parking Spot is Our Work Bay!! ​ Car, Truck, and SUV Diagnostics & Repair. 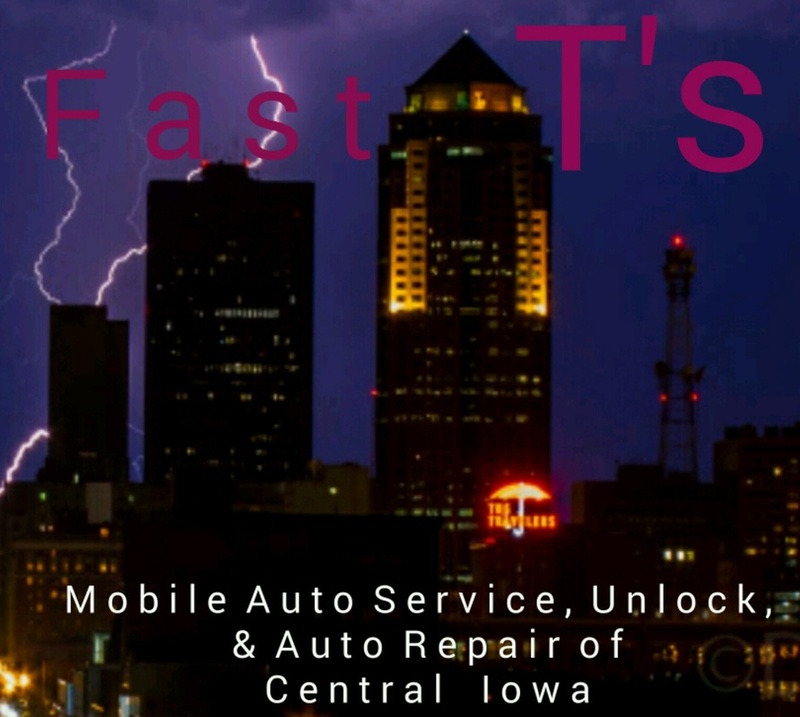 Fast T's Mobile Auto Services of West Des Moines, Iowa, is your mobile car & light truck Repairing, and Roadside Assistance Leader of Central Iowa. Your engine break down problem is solved, with Traveling Motor Vehicle Repairman, Troubleshooting ,and On Site Fixes. Our ASE certified Technicians will mend your motoring failure, with New, Remanufactured, or Refurbished automobile parts installation. You can avoid the tow truck altogether; Allowing you to invest your money in reconditioning your car or light truck, instead of paying a tow truck and towing it! 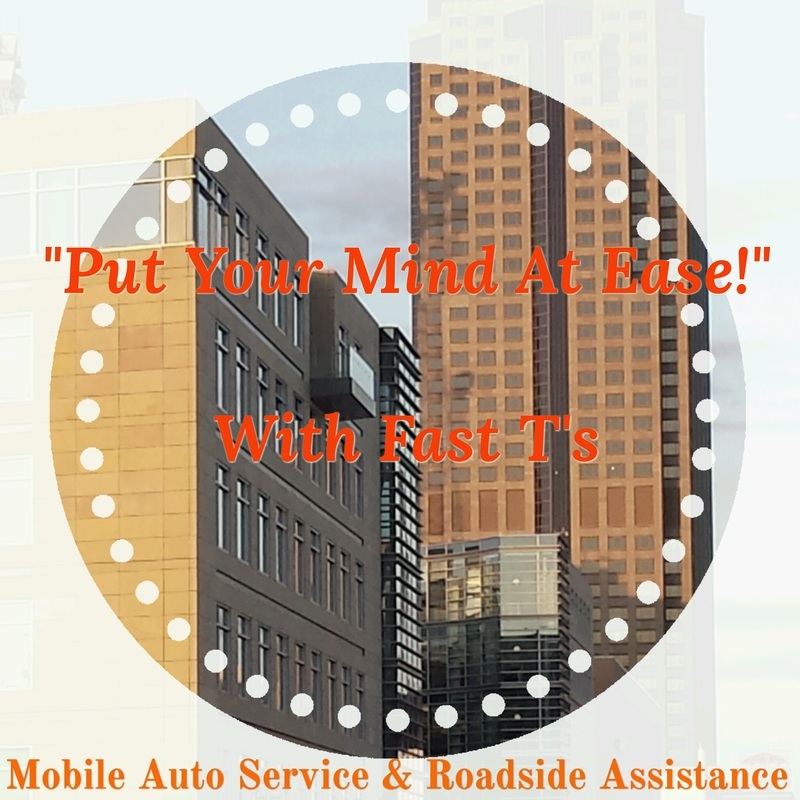 With over 20 years of professional experience as a Motor Mechanic Repairman, a Roadside Assistance Provider, & a Towman; Fast T's is able to quickly respond to your engine break-down, motor no crank, or engine crank no start/ignition failure problems, diagnose your engines mechanical, fuel, ignition, or electrical failure, and implement a professional recommendation to fix, AND mend your engines malfunctioning failure. Your Fast T's experienced Mechanic Repairmen are always ready to tend to, troubleshoot and mend, your automobiles operating, starting, and charging system problems. Listed here are only a few of the automobile Fixes, and Maintenance Services we offer. Please call us with any questions, we are always available to help you get your car started, & back in operational condition! "Put Your Mind At Ease"
Harness the affordability of Mobile Battery Jumpstart And Battery Installation Service! Have Fast T's Diagnostic for Engines Fix Your Vehicle Now!